Pebble has managed to swipe one of the best features of Android Wear, letting Android users take action on emails and messages straight from the smartwatch. With version 2.3 of Pebble’s Android app, users can press the center button on Pebble’s right side to bring up a list of possible actions. For example, users can delete an email, send a template response, or dismiss the notification on both the phone and the watch. Because this uses the same system as Android Wear, app developers don’t have to do any extra work to bring actionable notifications to Pebble. The feature isn’t completely identical to Android Wear, however, because Pebble doesn’t have a microphone for voice input. 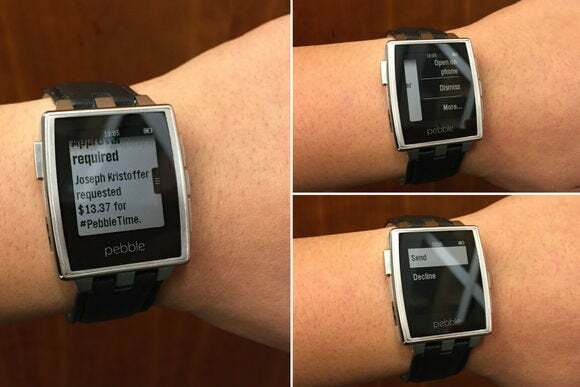 To compensate, Pebble lets users respond with an emoji in addition to a set of canned responses. The announcement comes less than a month after Pebble overhauled its Android companion app to include full notification support. At the time, the company said the rewrite would enable features that weren’t possible before—a fairly strong indication that actionable notifications were on the roadmap. 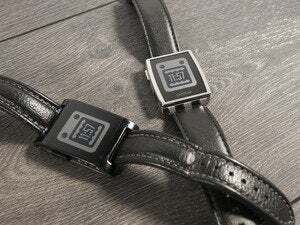 The new feature should arrive for all Android 4.0 and higher devices soon, but users can try it immediately by signing up for the Pebble Beta Channel. Why this matters: Pebble’s biggest challenge has always been the inability to integrate deeply with iOS and Android for features like actionable notifications. Still, the startup has shown that it can work around those restrictions to some extent, and the result is a smartwatch that is significantly more useful than it was when it launched last year.